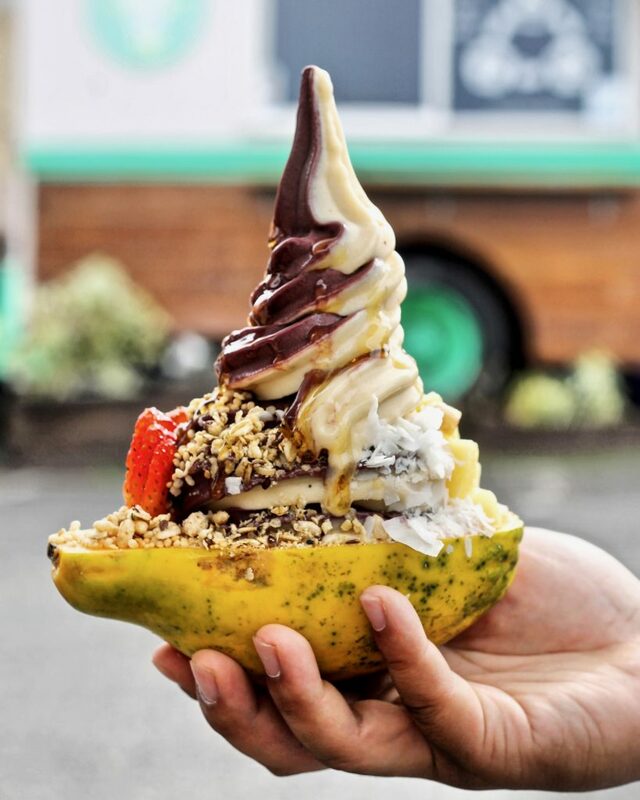 Here are my food recommendations for Oahu! 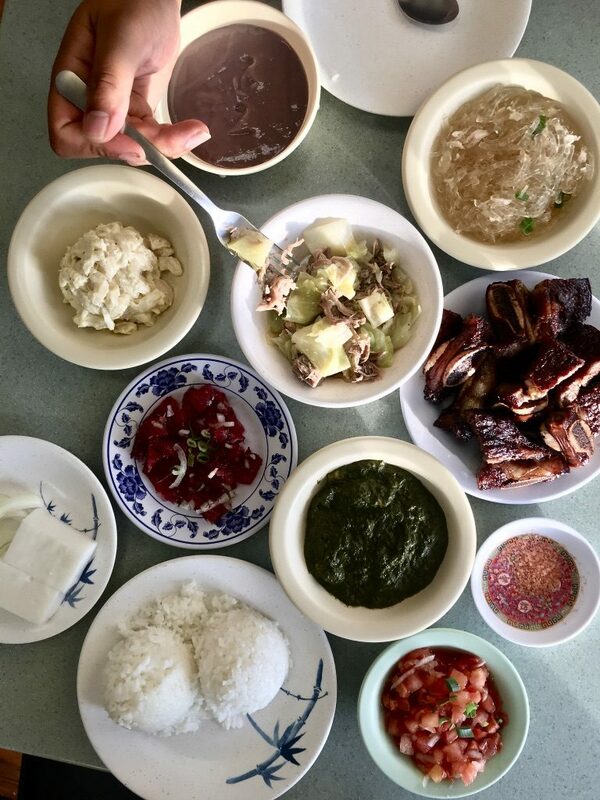 Authentic traditional Hawaiian food, that I believe everyone should try. 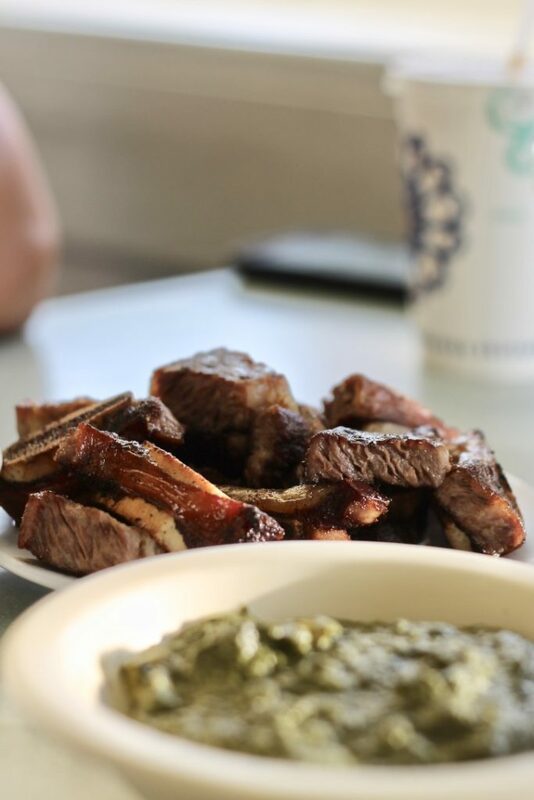 There’s no loco moco or spam musubi, we’re talking poi, macaroni salad, kalua pig (cooked in imu), short ribs, long rice chicken. My favourites were the long rice chicken, kalua pig, short ribs and luau squid. The dishes are small (each priced around $5 each) so get a lot and share! My favourite poke I’ve ever had, period. The fish is so fresh (must try the ahi! 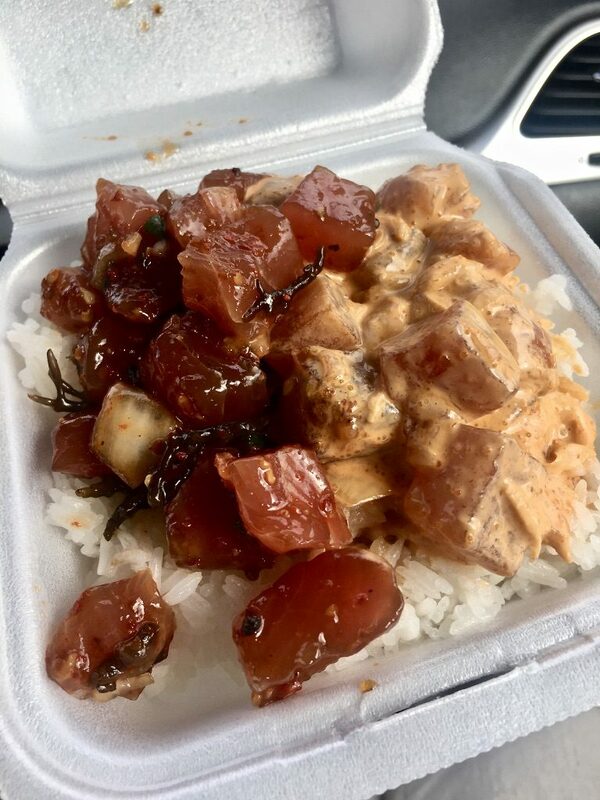 ), the flavours are on point, and it’s exactly what poke should be. Enjoy it simply with rice! The hype is real. You can’t really go wrong with which broth and style your order, so whatever piques your interest. I’m sure you’ll go back at least one more time, so don’t get hung up on ordering. I loved their prawn and squid tempuras, and their spam musubi! I recommend getting all of the toppings (egg, beef, tempura bits, onions and green onions) for full flavour. I went at breakfast (around 9am) and never had to wait. If you do see a long line, don’t be discouraged because the wait isn’t too long. This basement floor of the Waikiki shopping centre mimics the Yokochos (narrow alleys lined with restaurants) in Japan. 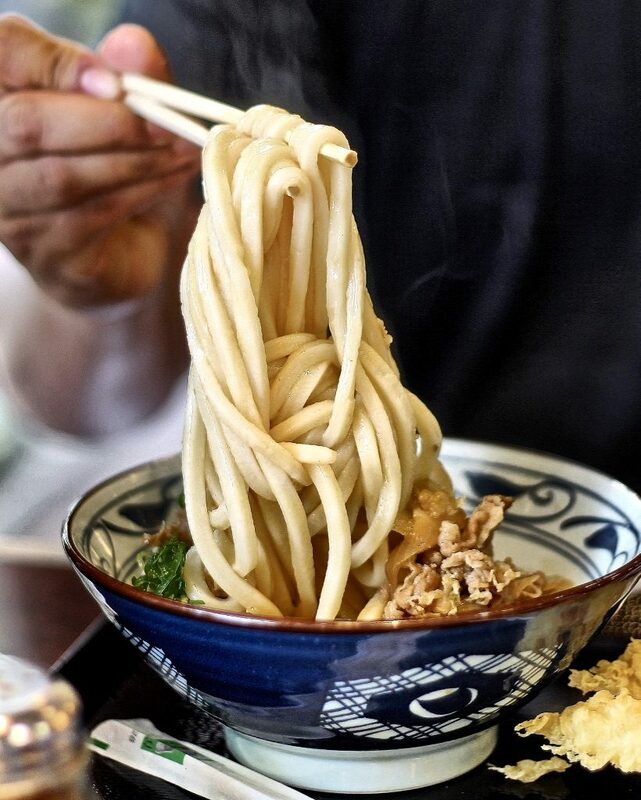 You can find tempura, yakinuku, okonomiyaki, lots of ramen, and my must-visit recommendation: Nana’s Green Tea. 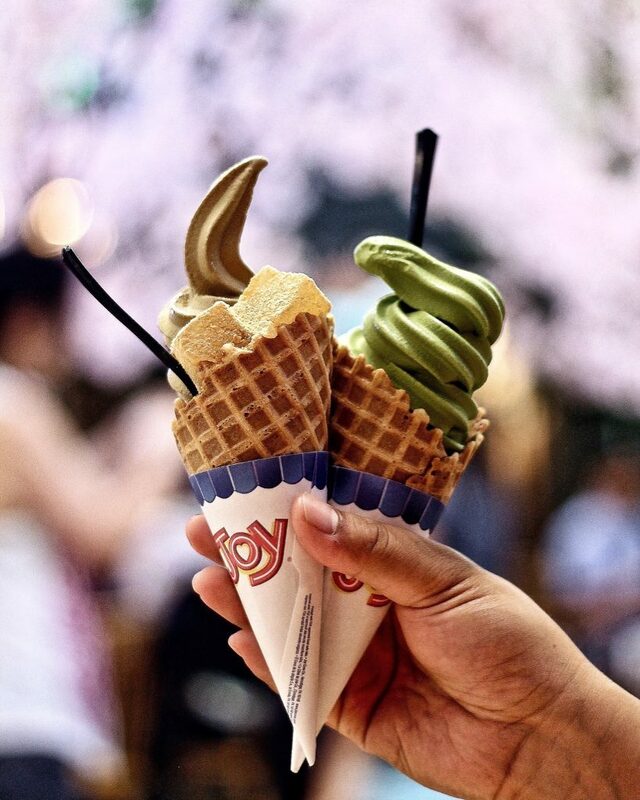 Try both the matcha and the hoji soft serve either on its own or in a parfait! 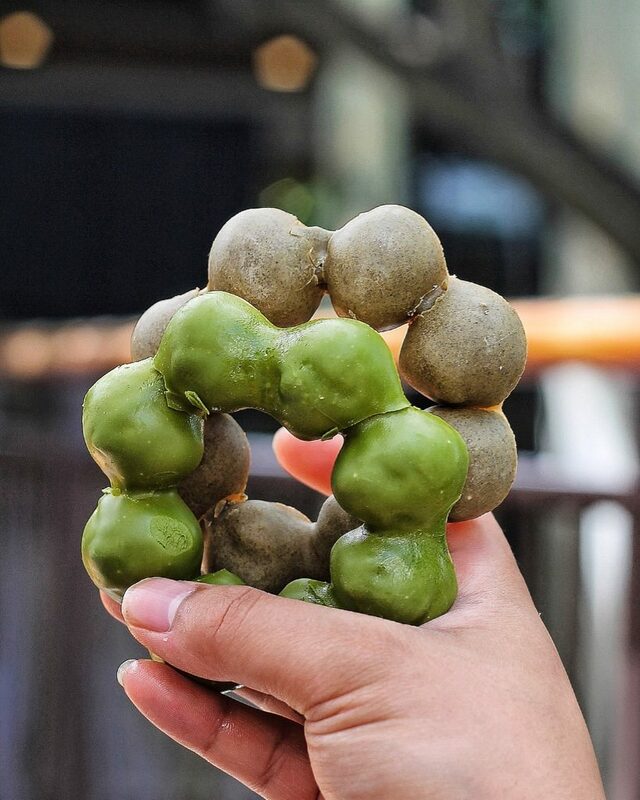 Yes, as you will notice, Waikiki is filled with Japanese restaurants, markets and convenience stores. This marketplace is tucked in the corner of the second floor of International Market Place. Try Modo Donuts (mocha donuts, to Mister Donut!) and browse through their market for Japanese drinks and cosmetics. I had a simple uni + ikura rice bowl from their prepared food section and it was one of my favourite (and most affordable) meals. This place is filled with notable restaurants but I explored THE STREET food hall by Michael Mina. We bought the 7 ticket tasting pass, and Maui Onion Burger was our favourite. I wouldn’t recommend the 7 ticket tasting pass as it seemed pretty disorganized and some of the restaurants didn’t have the ingredients to participate (which I feel we should have been advised of before we purchased the 7 tickets). 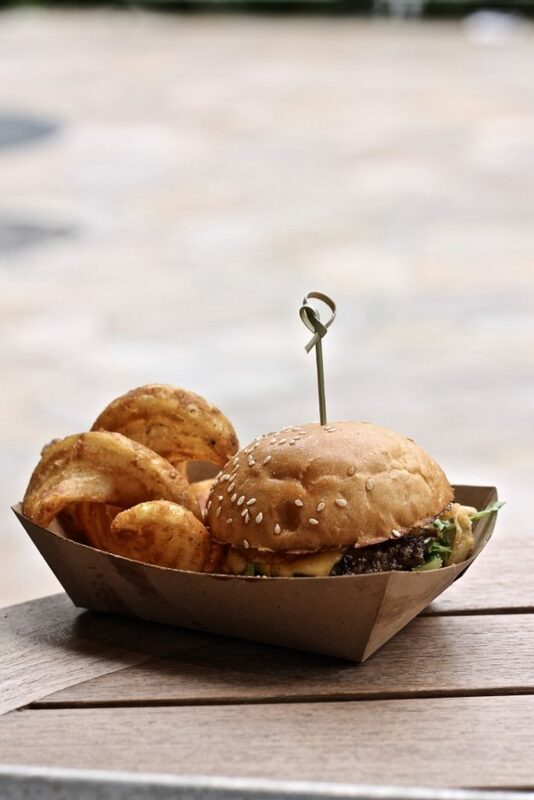 In fact, the only restaurant I’d say is worth checking out is Maui Onion Burger, as the rest were disappointing and the restaurants we wanted to try most were ‘out of ingredients’. For those curious about Ayesha Curry’s International Smoke- I’d say the BBQ was decent, but not amazing. This vegan, gluten free “nice cream” is so refreshing when you’re on vacation. I chose to have mine in a papaya bowl and it was the perfect way to start my day! If you like garlic shrimp (and who doesn’t like garlic shrimp?) then you’ve got to try Giovanni’s. Don’t let the long lineup discourage you. I counted about 15 people ahead of me and I only had to wait 15-20 minutes. The food comes out quickly after you order it! 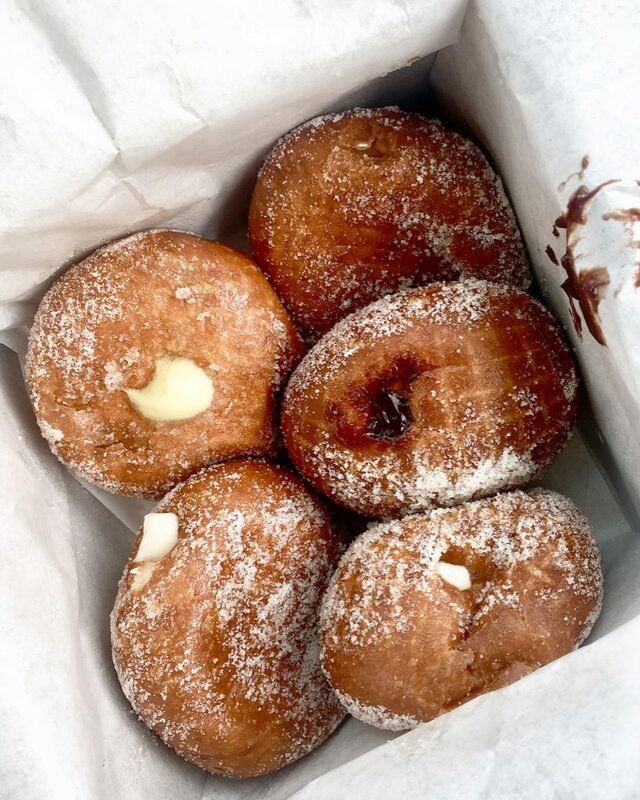 Hot, fresh, made-to-order malasadas. I liked them more than the malasadas I had in Maui. 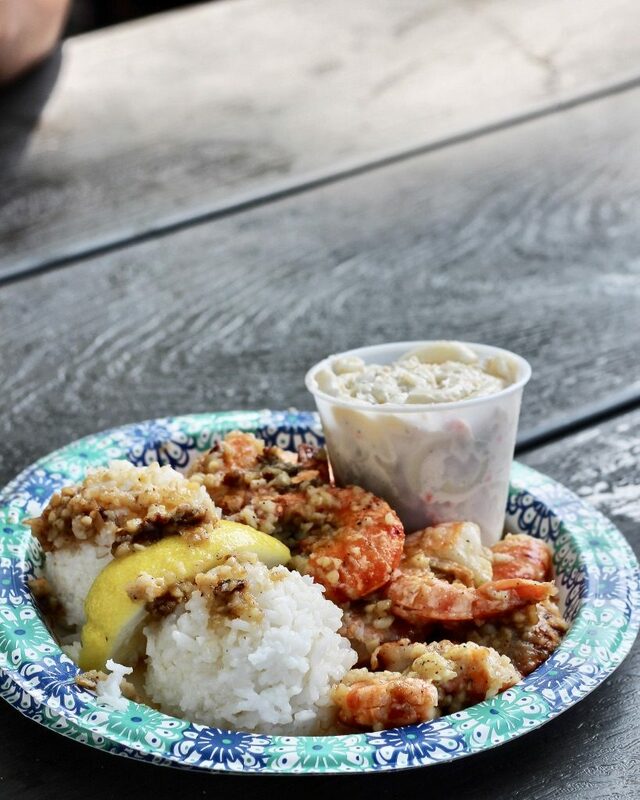 Like most popular food spots in Oahu, you’ll have to wait in line. This açai bowl stand is in the North Shore of the island. If you’re passing by, it’s worth checking out. 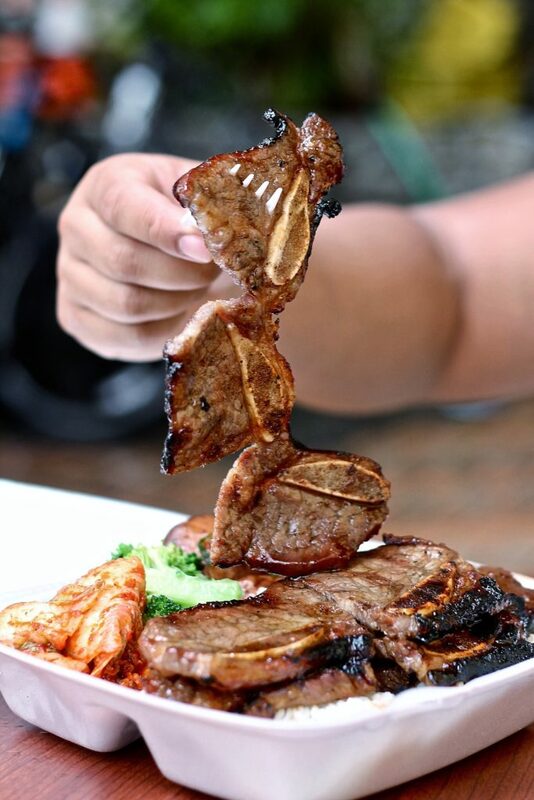 This Korean BBQ spot is a couple blocks out of the main touristy areas of Waikiki. It’s a decently sized portion for the price. I was craving Korean food and their BBQ short ribs hit the spot! 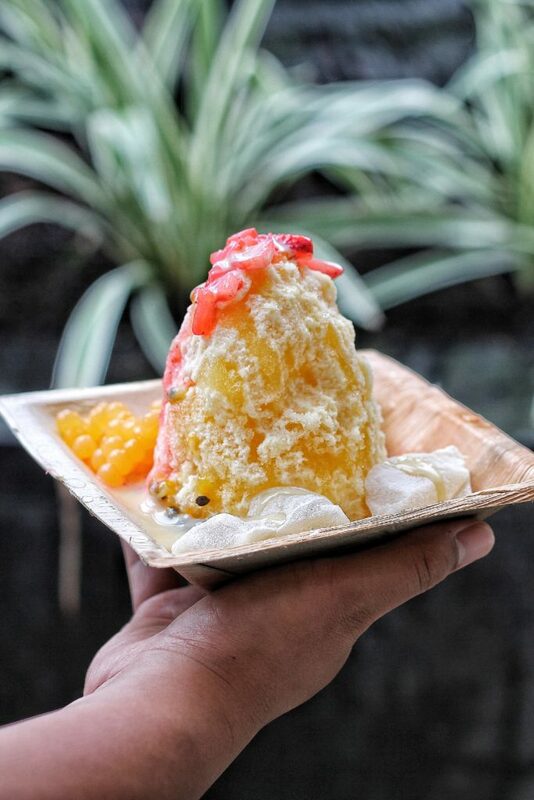 Believe it or not, this was the only place I had shaved ice! I’m not a fan of super sweet, fake syrups and I heard that this place used real fruit syrups. I loved their homemade mochi and the lilikoi flavour! 1. Check out Groupon for MaiTai Sailing. I took this sailing cruise and it was one of my favourite activities I did on the island! 2. If you love beer and love the sun, I’d recommend looking for the Corona sailboat on Waikiki beach. I remember it being docked a few hotels east of the Sheraton beach. As I walked by, they said it was an hour long (?) sailing cruise with all-you-can-drink Coronas for $30! 3. Definitely make time to walk through the Hilton Village (it’s especially pretty at nighttime!) There’s shopping, restaurants and ice cream, and the grounds are beautiful! 4. If you plan on hiking Diamond Head, I recommend going super early to catch the sunrise (there was a car lineup to pay the entrance fee as there were many like-minded tourists). I hope my lists help you enjoy Oahu as much as I did!